Finding out a place you passed in front hundreds of time but you never tried is a very cool one is the best feeling ever for me. It is like they open a new trendy restaurant just next door. And this was the feeling I had when I went out from Café des Capucins on Tuesday night. You know, I visited the bar some times ago for the Red Cross event. 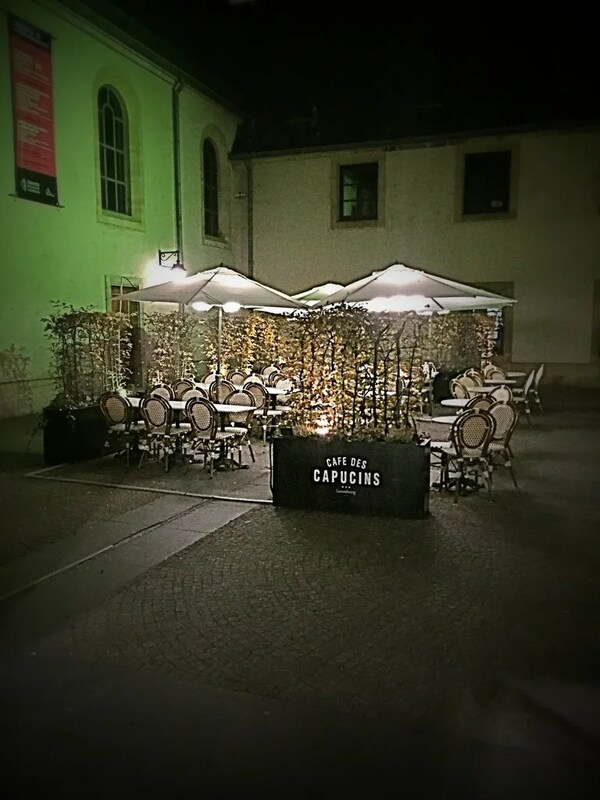 It was a pleasant evening and I enjoyed it, but I didn’t know Café des Capucins is also a very fancy place to dine. I discovered it randomly on the new Explorator guide and I booked it for my Tuesday night date with hubby. The place was full but not packed and customers were divided between those enjoying their after-works and those dining. We started with a Ginger Martini from their amazing cocktails lists (forget about Campari soda, they have real cocktails here!) 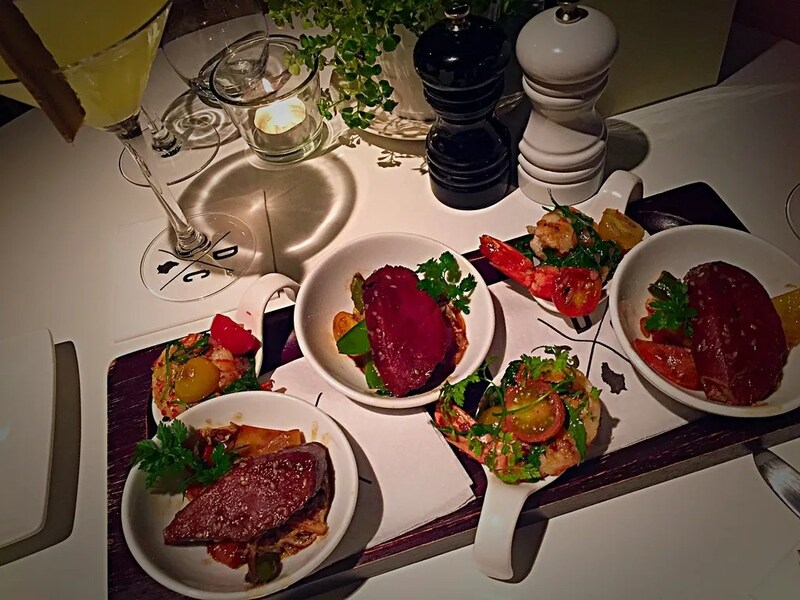 and we accompanied it with some tapas: shrimps sautéed in limoncello sauce and canard with peppers and ginger. The small pots were full of taste: the shrimps were more delicate, mildly sweet but intense, while the canard a bit spicy with this nostalgic taste of peppers like those my Granny prepares. 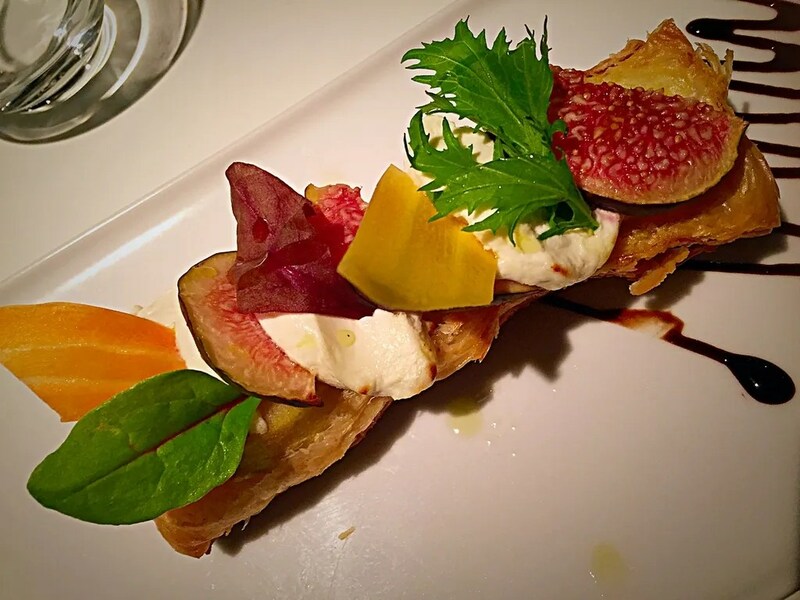 We moved then to the starter, a very kind and competent waitress suggested us to share a pastry with apples, goat cheese and figs. A bit skeptical we accepted and were pleasantly surprised. The dish took both myself and hubby out of our comfort zones: hubby, you know, it is a very traditional eater and I am not that much into veggie plats. This dish was surprisingly good – talking about WOW factor, here it is – and more surprisingly the pastry was clearly home-made. We moved then to the main course, which we accompanied respectively with a glass of Primitivo and one of Chardonnay from Veneto, Italy. I went indeed for tuna tataki with peppers and potatoes while hubby chose lamb loin with seasonal vegetables. 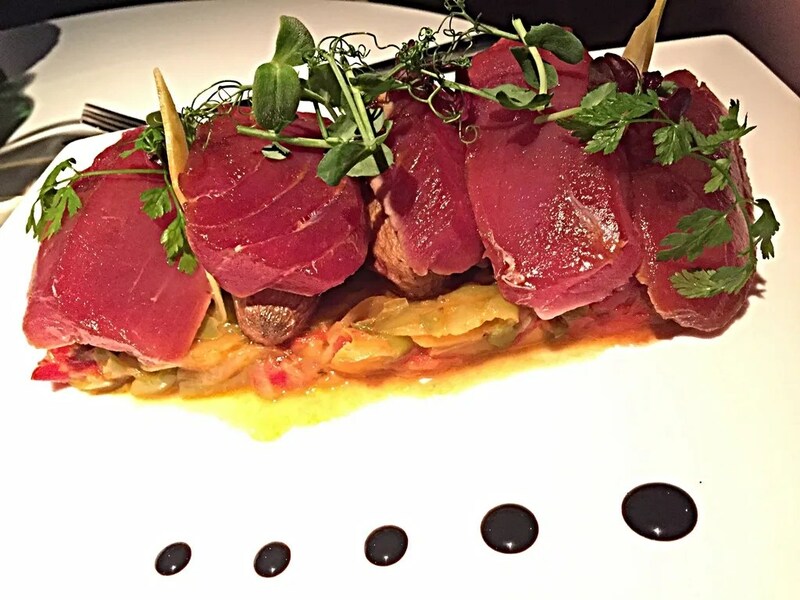 Both dishes were outstanding: on my tuna dish, the sweet taste was prevailing, but the single elements were all well-coordinated, starting from the potatoes cooked with the skin to the small herbs “decorating” the plat. 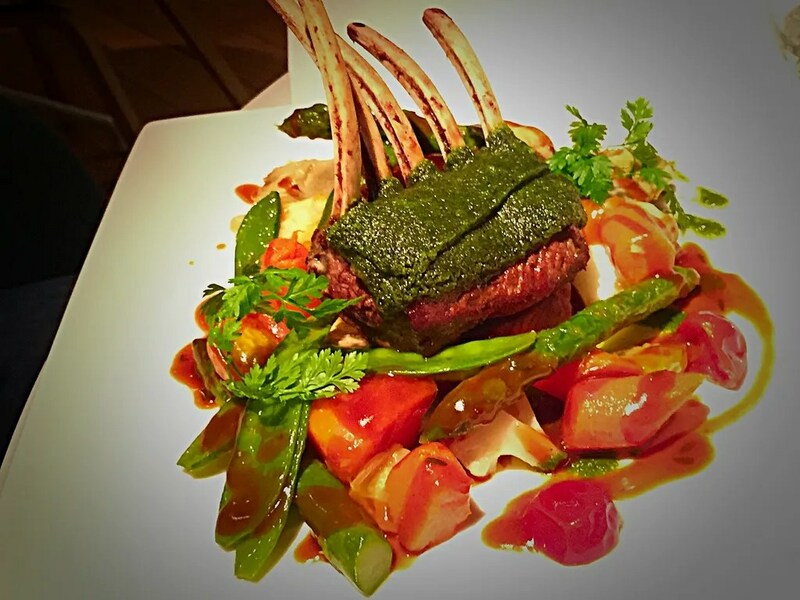 The lamb, I tried it, was very tasty and intense, the thyme pesto was giving a strong imprint to the dish, vegetables were cooked al dente and everything was splashed with meat sauce. 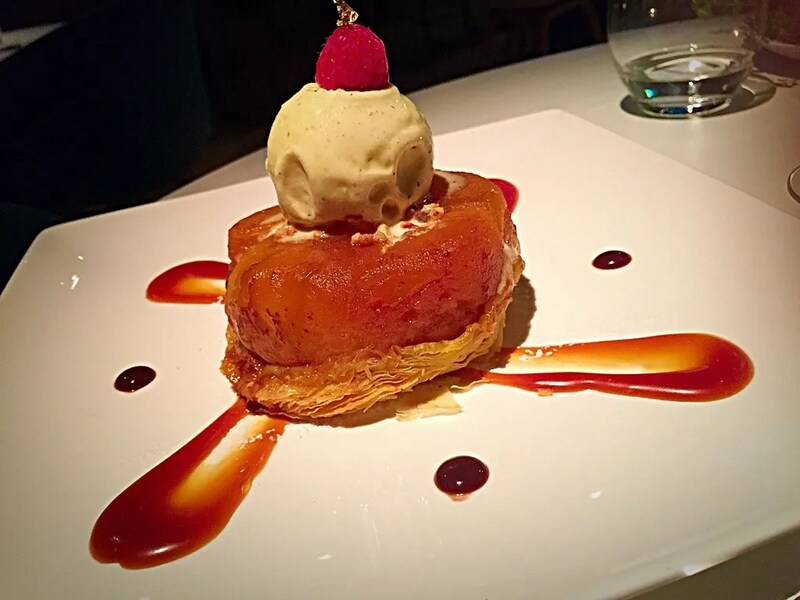 We were really full but we decided to share anyway a delicious Tarte Tatin – actually hubby had the cake, home-made and well cooked, soft to the spoon and not too sweet, while I enjoyed the vanilla ice cream on the top. 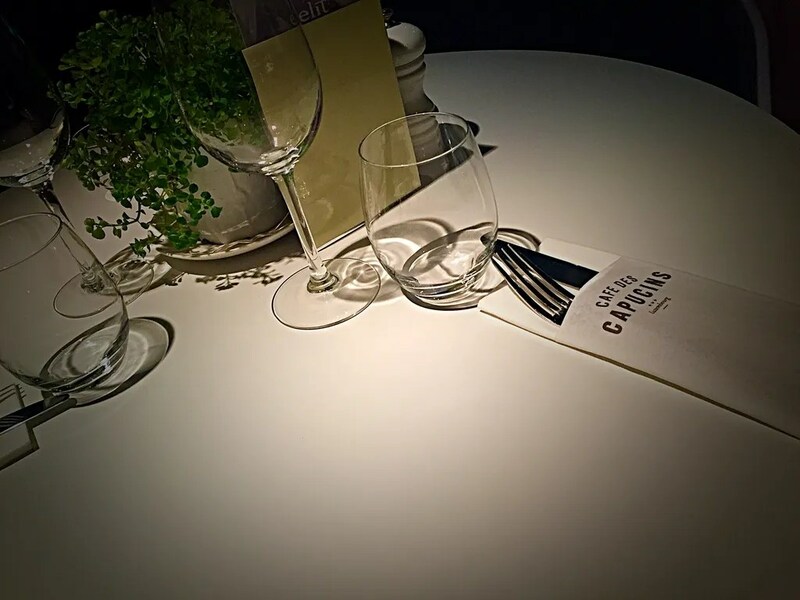 After the pictures of our dinner, you can find my final considerations about Café des Capucins. 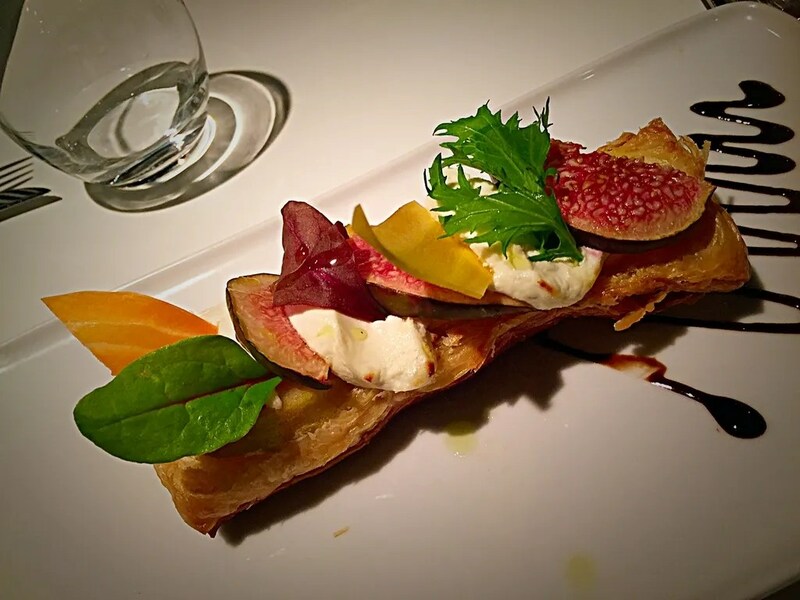 – Outstanding cuisine – traditional dishes are given a fusion oriented direction, tastes are very defined and there is a great attention to the presentation. – Amazing service, really – the waitress who served us was able to explain perfectly everything both in English and French. Before taking the order we were asked if we had any allergies and during the dinner we were recommended great dishes – but never felt forced to go in one sense or another. We took our time without being bothered and everything was served with a bright smile. Well done. 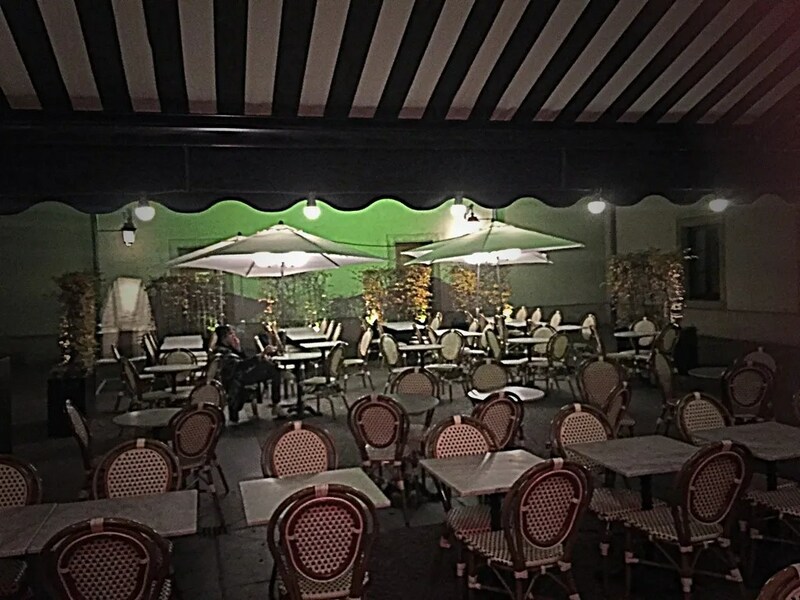 – Young and cool environment – music was there, but not too loud, amiable terrace for a ciggie break in a very classy location (Place du Theatre), professional customers, attention to details. 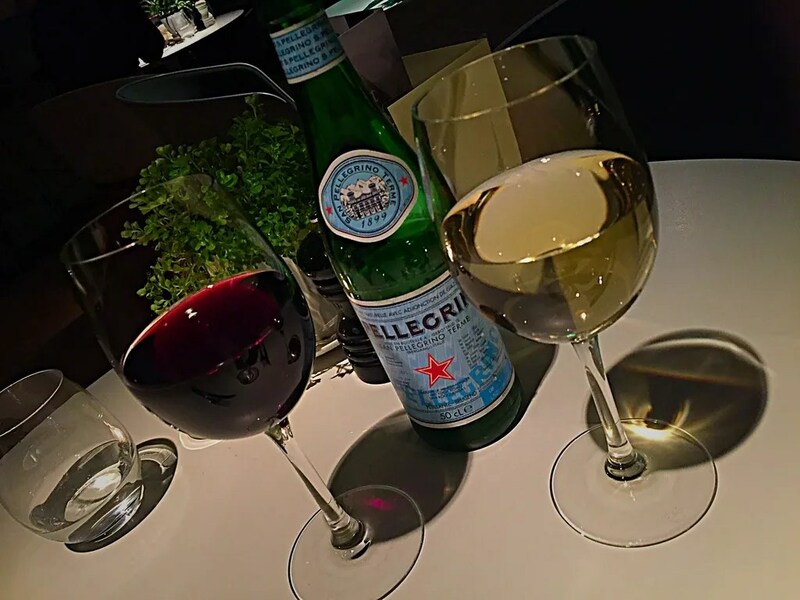 – Extremely fair prices – wine glasses around 6/7 euros for great quality wines, fish main around 25 euro. – Everything was perfect, but if I have to find something, I would say portions were a bit too big for my appetite, but it was indeed our fault to order both the tapas and the starter. Strongly recommended to got between one of the two if you are heading to the main course. 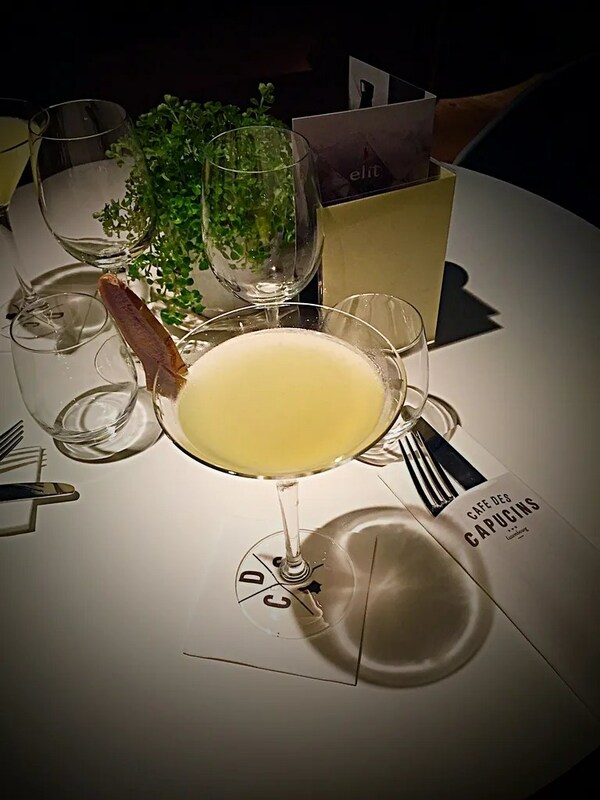 To sum up, we had a fabulous evening at Café des Capucins and we will indeed come back soon. 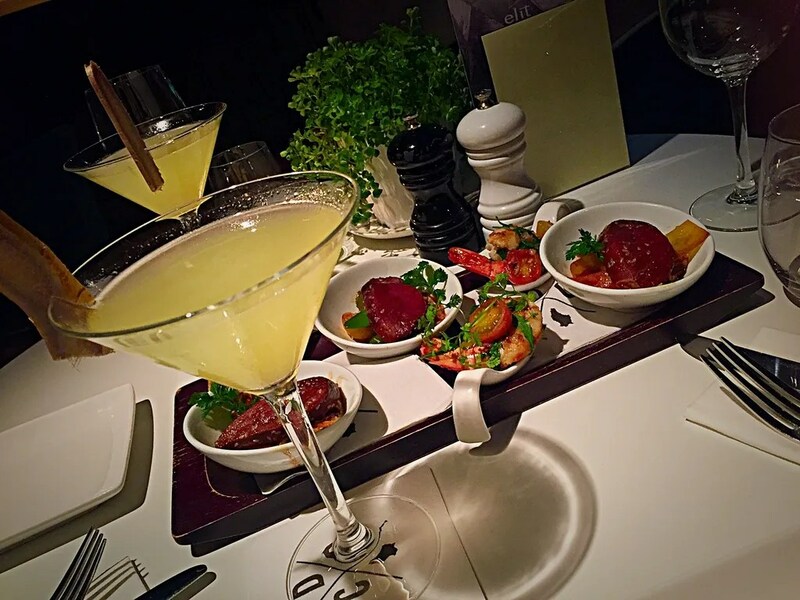 This is the perfect place if you are looking for a restaurant after couple of drinks in town and you don’t want to go for something too traditional or expensive. 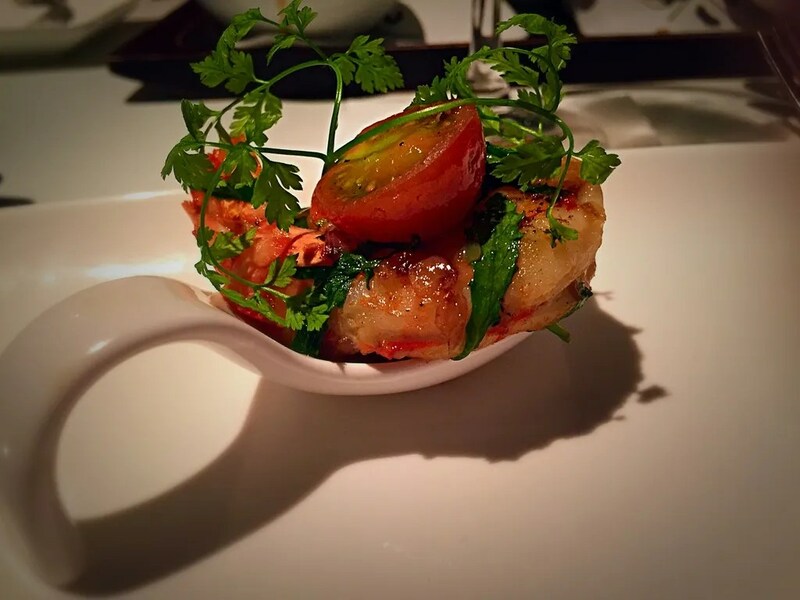 Outstanding food, young ambience and great service are already making it one of my top place for friend’s evenings. I like the way the food is presented; it all looks very tempting! Thanks for this recommendation. I haven’t been there since it reopened a couple of years ago. But it is on my list 🙂 The food looks amazing! I’ve been following your blog and making notes of places to go. I love it, it’s awesome!! However, one of the places I’ve been Cafe des Capucins didn’t live up to what you wrote. 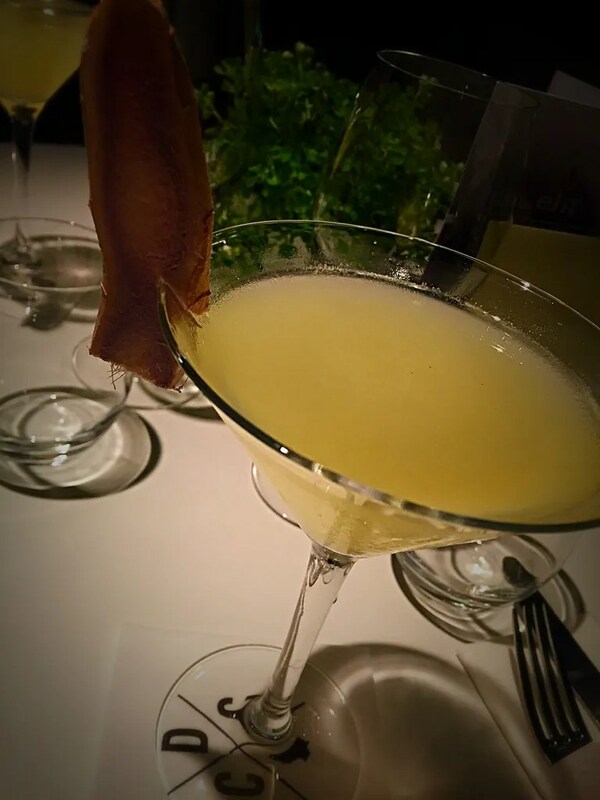 I ordered the ginger martini and it wasn’t nicely garnished like yours, the food was terrible but the location I must say us lovely. I’ve always walked by there but had no interest to go in. Once inside its a different feeling. I may make another attempt here maybe just for coffee because of their locations and close to parking but that’s it for me. Hello Oralee – thank you for your comment. When did you visit the restaurant? My understanding is that they changed just recently the menu and the management.. It is a pity that you were not satisfied. Did you try to send them an email? Let me know. I have been to Cafe des Capuchins before but not yet for dinner. The meals look very promising, I will try next time.